This election underscored the division between classes, which widened during the Great Depression. 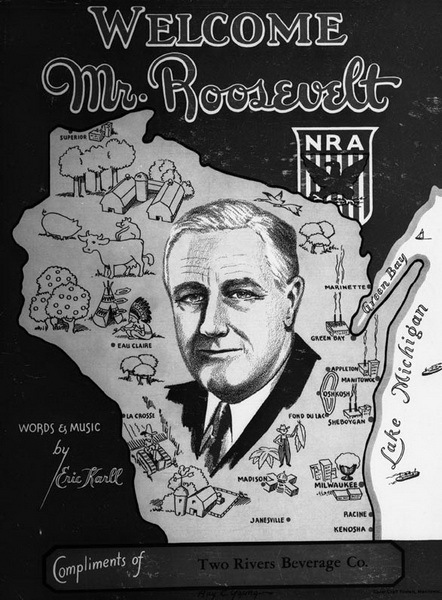 Roosevelt's New Deal programs and policies offered benefits for the interest groups that formed the new Democratic coalition. Republican opposition argued that the federal government under FDR had grown too big, too intrusive, and too expensive. 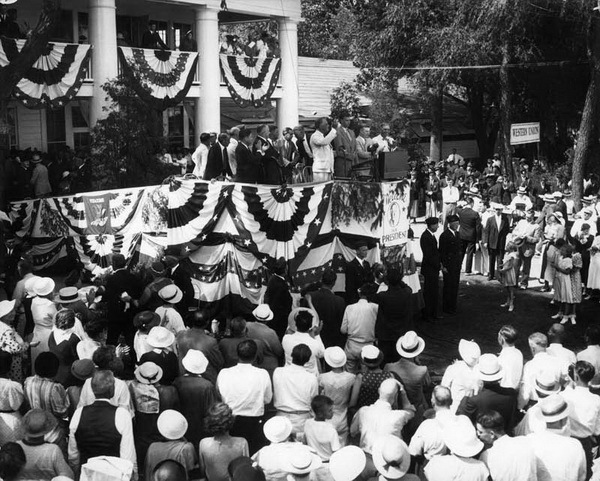 Franklin D. Roosevelt speaks in Green Bay, August 9, 1934. 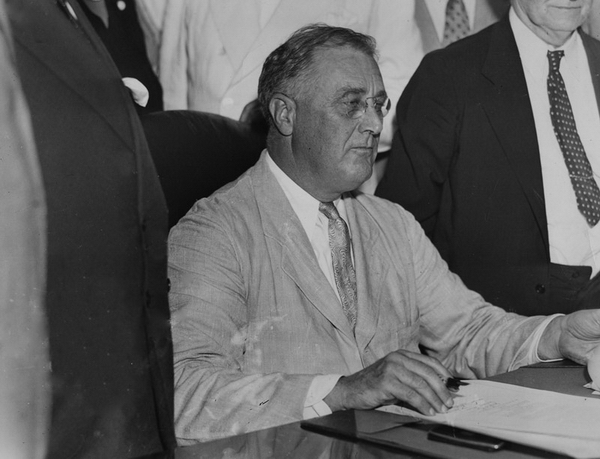 Franklin D. Roosevelt signs the Social Security Bill, August 14, 1935.